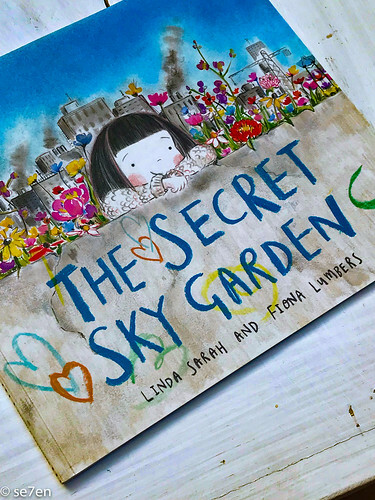 The Secret Sky Garden by Linda Sarah and Fiona Lumbers: This is a magical story about a little girl who creates a garden… little by little and bit by bit, on the roof of an old unused parking garage. 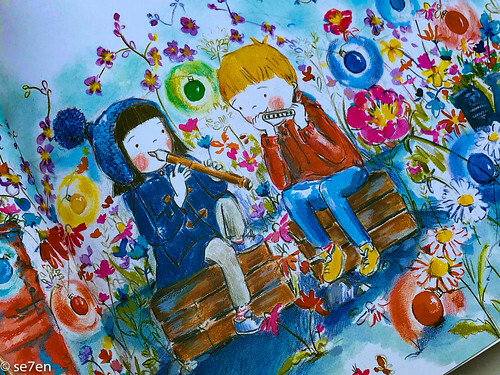 She creates a beautiful and magical world, a colourful place in a very grey world, where she is free to fly her kite and create music… but in a sweet and whimsical way, there is something missing. 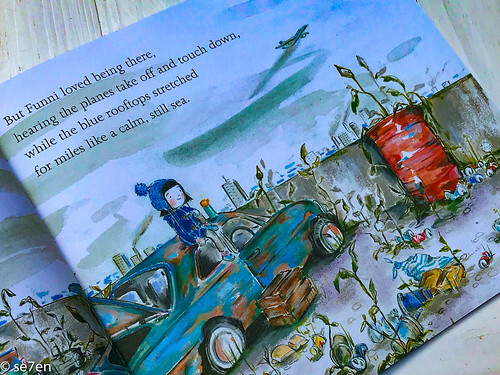 And then an aeroplane flies over and a little boy spots the garden and he joins her… and now we know what was missing (spoiler alert!) – a friend. Someone to fly kites with and create music with. This is watercolour magic… and lovely. I think in a word, this book is poignant. A sweet story that will linger on in your heart long after you have read it. 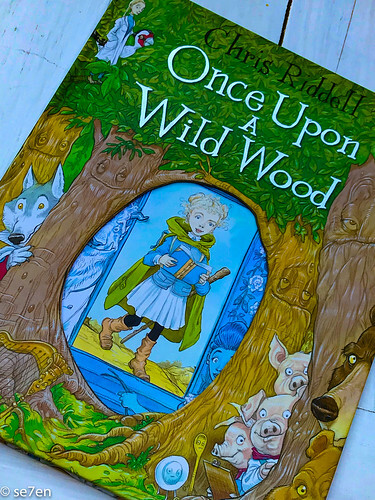 Once Upon a Wild Wood by fantastic author/illustrator Chris Riddell: There are few things better than a book illustrated by Chris Riddell, and a book of his illustrations packed with his take on a number of fairytales… is a winner. 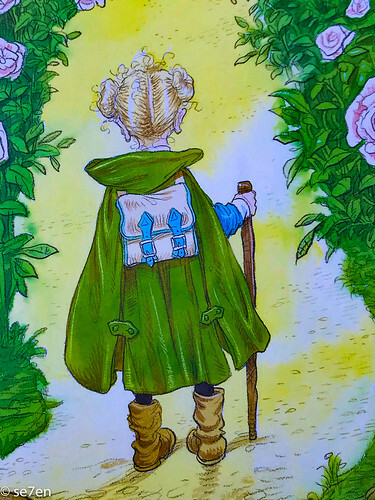 This is a picture book delight… Little Green Rain Cape is off on an adventure, she has packed and ready to go, and she has an invitation to Rapunzel’s party. 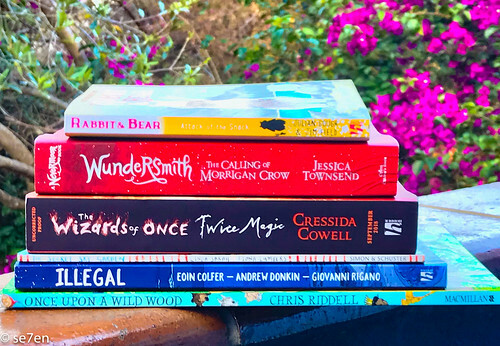 Little Green Cape, meets a helpful wolf, a kind old lady with a red apple, and a fairly alarming looking troll under a bridge for goats… and then she gets to a castle, and there is a very sad beast in the garden… who is missing his friend Beauty. And so the story goes… as Little Green Rain Cape wanders her way through the pages of the book, eventually ending up at a fantastic party. 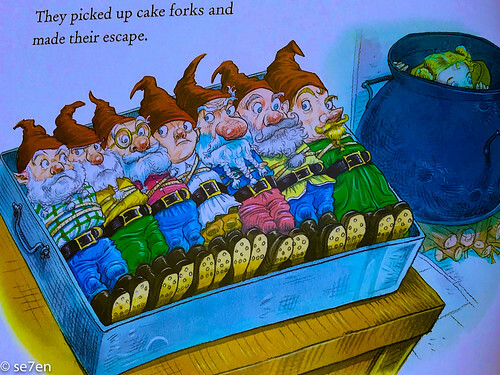 The puns are plentiful, the illustrations rich… and the story vibrant… with a very sweet and whimsical ending. 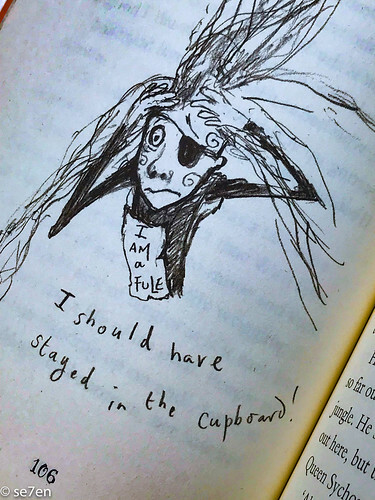 Chris Riddell is everything to love, you can read our interview with him over here. Click on this link for our review of Rabbits bad Habits, and this link for a review of The Pest in the Nest. 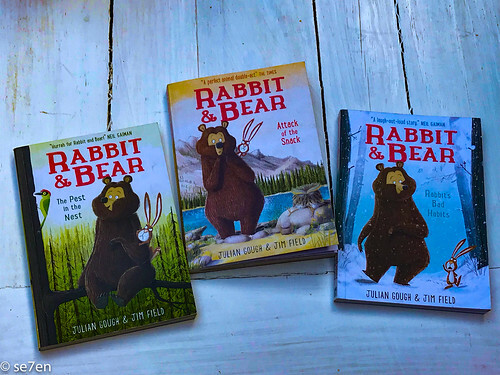 Rabbit and Bear are one of our favourite favourites… honestly they are members of the family!!! 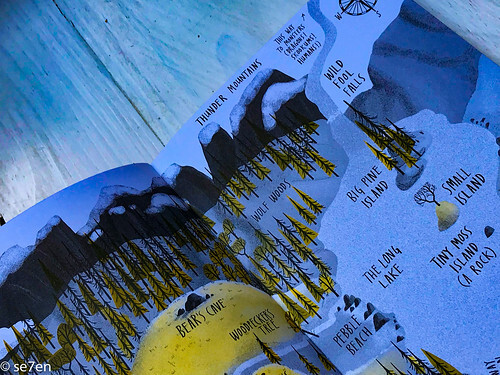 Can I just say, it starts with a map… and all books that start with a map are the best books. 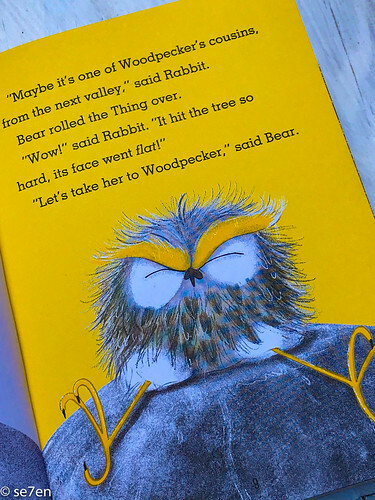 Not to mention there is lots of fairly harmless toilet humour that the younger set will love… this book is just the best for animal lovers everywhere. Bear continues to be the lugubrious unflappable one, while rabbit is a little more emotionally charged, not to mention somewhat negative and almost always (hysterically) grumpy. 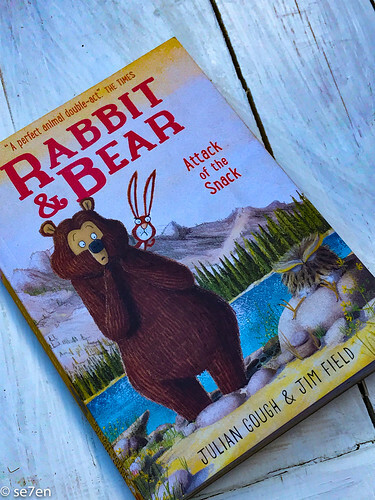 In this story a strange creature flies by, while Rabbit and Bear are enjoying their best day ever… they are a little surprised, and not entirely sure what the strange creature with a very flat face is. Some woodland friends arrive to help with identification AND oh my goodness it is an owl!!! And owls are huge, this is a tiny baby one; and owls are terrifying and aggressive, and this one is adorable, not to mention sleeping… they decide to put the terrifying, sleeping baby owl in prison. The ultimate story of “don’t judge a book by the cover” not to mention several very humble and amusing apologies, and ultimately and firm friendship. Perfect bedtime reading, actually anytime reading… especially if your children love and adore all things to do with skat (animal poo!). This book would be especially lovely for a young lover of owls, it is packed with owl facts in a very digestible way. 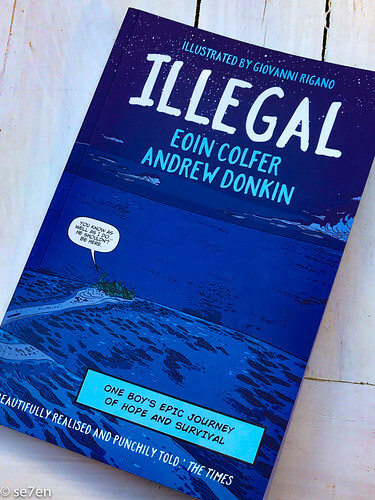 Illegal by Eoin Colfer and Andrew Donkin and illustrated by Giovanni Rigano: This book has won all the Awards… and for good reason. It is a powerful story. 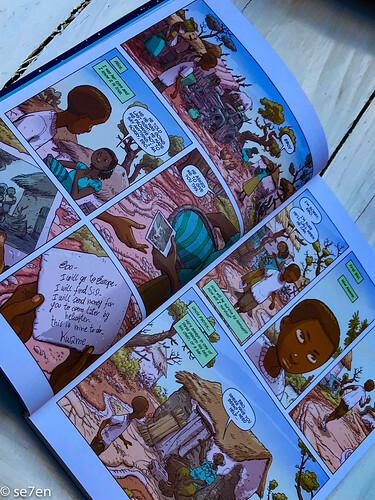 if you want your kids to know and understand the “life and times” of a refugee, if you want them to understand the story from the point of view of a child refugee… then this graphic novel, written with compassion and understanding about the life of twelve year old Ebo, from the country of Ghana. His sister left for Europe months before, and now his brother has left. Words cannot describe how desperate and miserable he is, as his journey to find them, begins. Determined doesn’t begin to describe Ebo, as he risks everything, crosses the Sahara Dessert, gets stuck in a refugee camp with no means of making money, he lurches from one desperate situation to another. He has hope. He is tricked out of his money, he is lured by evil wishers and yet… he keeps on hoping and more importantly keeps on going. 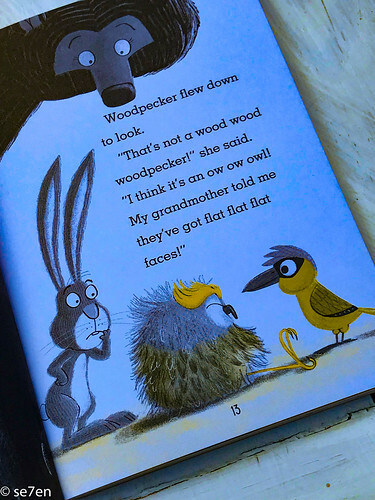 This book, while it tells a violent and horrifying story about the lives of many many children and migrants the world over, actually has nothing in it that my children couldn’t read about. If you are trying to raise children who want to understand the refugee problem and don’t want them to shy away from difficult situations, children who want to get involved and make a difference, then this book is a great start. It will raise their hackles about social injustice. This is unputdownable, an excellent read and something I would definitely leave lying around for all my kids to read. 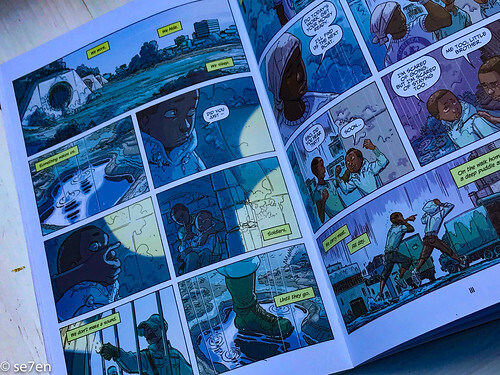 To only that, but the fact that it is a graphic novel means that even my readers that struggle to read “overwhelming” chapter books, can get to the heart of the topic easily… that alone makes this book a triumph!!! 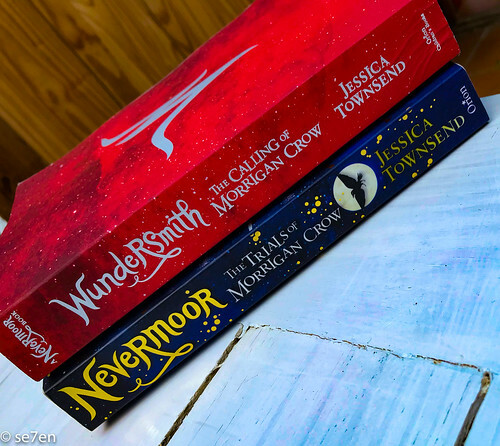 Wundersmith by Jessica Townsend and illustrated by Beatriz Castro: The long awaited sequel to Nevermoor is out, its fantastic… and if you haven’t started on this series then I have to suggest that you get into it. Make sure that you start at the beginning and read on, read on. This is a magical fantasy series, and I have to say that I don’t seek out fantasy novels for myself, but these are fantastic fantasy and I thoroughly enjoyed them. 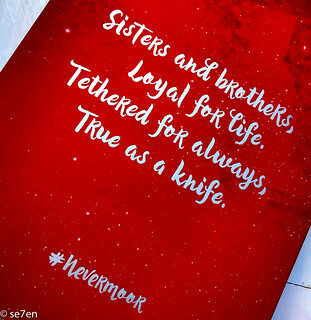 Book One: Nevermoor – The Trials of Morrigan Crow… Listen to Chapter One here. Book Two: Wundersmith – The Calling of Morrigan Crow… Listen to Chapter One here. 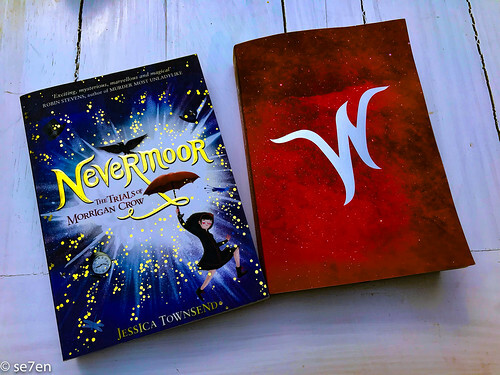 You can read our review of Nevermoor over here, in which we meet the cursed Morrigan Crow. After a series of trials and tribulations, that Morrigan somehow survived in Nevermoor, we arrive in Book 2, Wundersmith. The start is vibrant and quite the most colourful and exciting story hook ever. 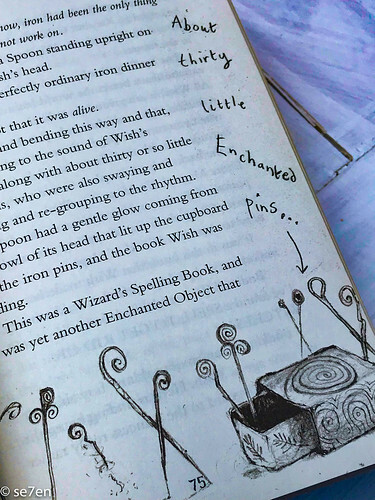 While Nevermoor was a series of challenges, Wundersmith is a school story… with a difference. Morrigan’s nine classmates are all exceptional and the lessons they have to learn are just a little out of this world. But things start to go missing and the friends that pledged to be friends for life… are being turned against her… and her one and only ally, Jupiter North is away. The thing is Jessica Townsend manages to create an entirely magical world… where the streets don’t stay the same as you move along them, the marketplace is out of this world magical. The point is, not only is the story fantastical, but the world in which the story happens is somewhat next level!!! 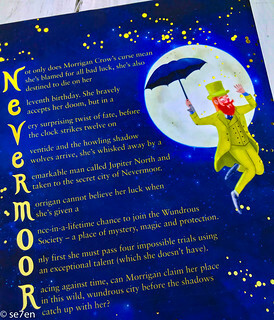 I have to mention, again, as I did in our review of Nevermoor, why have the publisher hidden the illustrator’s name on the publisher’s page, along with the publication date and barcode… really fabulous illustrations and Beatriz Castro deserves to be on the front cover. 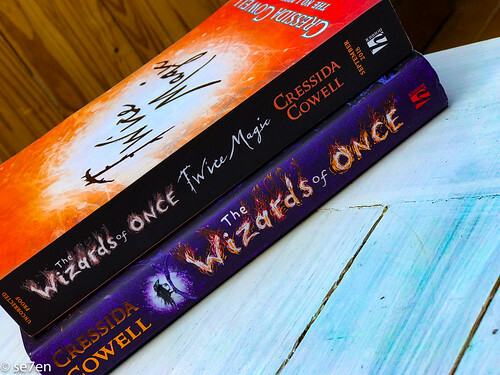 The Wizards of Once, Twice Magic written and illustrated by the magnificent Cressida Cowell: I absolutely loved the Wizards of Once, I would go so far as to say that it was my book of the year last year. And I am going to step out and say that book two in the series, Twice Magic is better! And though my kids have read them, I am going to be reading these out loud to them now, over the holidays… that are that good. Chapter books that I am quite happy to read again… that says a lot!!! This is the story of a Wizard boy called Xar, and a Warrior girl called Wish. I love them both, they are funky and fine, and full of issues. He is unintentionally naughty… well a rebel really. He doesn’t quite get the “rules is rules” mentality… and just this approach to life gets him into an awful lot of trouble. I relate to Xar (!!!). He also should have grown into some magic by his age, and hasn’t… he feels dreadful and think he has let his Dad down, his Dad who is so proud of him. And then she is supposed to have no magic, but has some unexpected magic, and she is optimistic that her mother will be proud of her… but well, her mother is the terrifying queen of the Warriors is very disappointed in her. Can I just say, there is a magnificent map, and I wouldn’t expect less from master author, Cressida Cowell. And our two heroes, after breaking out of their personal prisons and heading into the wilds, are on a quest and they cannot afford to fail. The thing is these two make unlikely friends, they are both full of flaws, they are on apposing teams, so to speak and yet… their friendship endures. 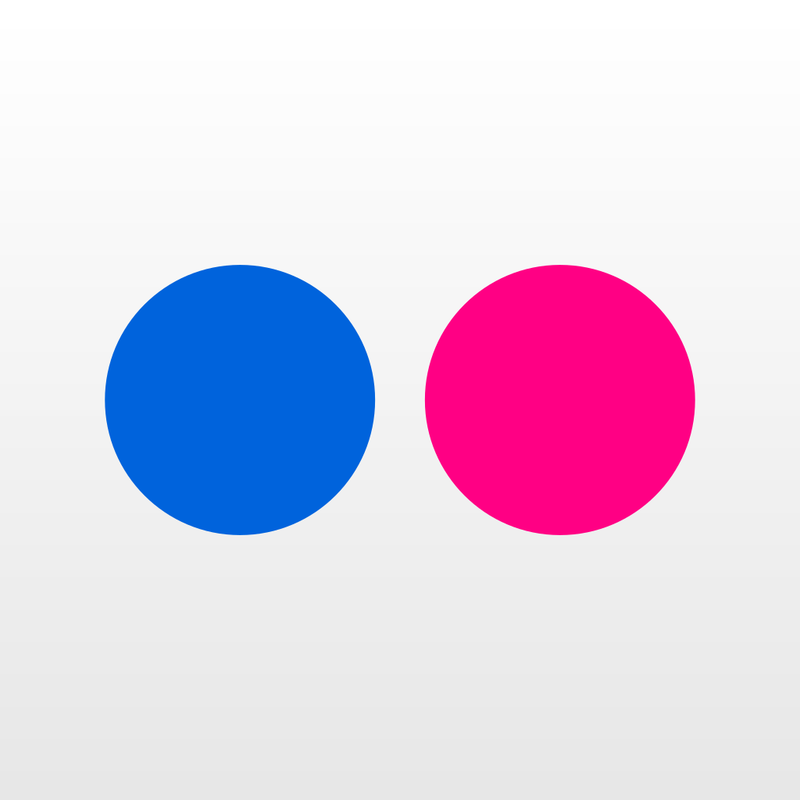 They are funny, they are fickle and with each other… brutally honest. This book has everything that a holiday read should have, it has unrequited love, it has a mystery that transcends time and murder of the very intentional and unintentional kind. If I hadn’t picked a holiday read already then this would be it. I really loved this book, I loved the characters… I loved their names. Elodie Winslow, the prettiness, is an archivist that is on the brink of marrying someone she doesn’t love… you want to climb into the book and tell her not to go there, but you have to wait for the story to unfold. She discovers an old satchel… and artefacts within… that lead back to a bed time story her mother used to tell… back to another era completely. We meet the artist, Edward Radcliffe, and his bohemian friends staying in a large country manor on a bend in the Thames. 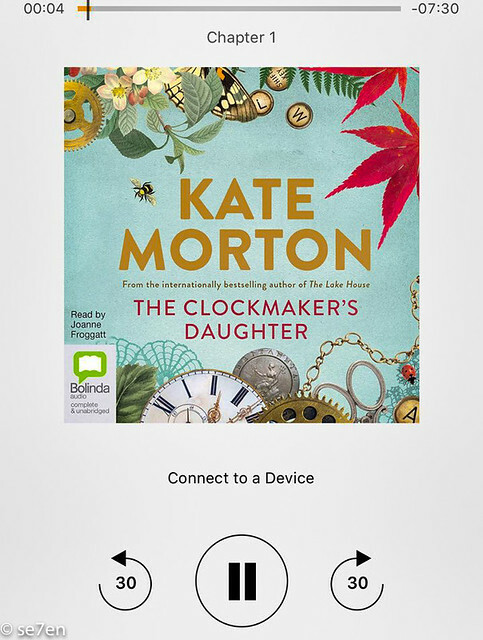 A typical Kate Morton novel, lots of themes, lots of stories – that you cant believe will ever connect, and lots of narrators. 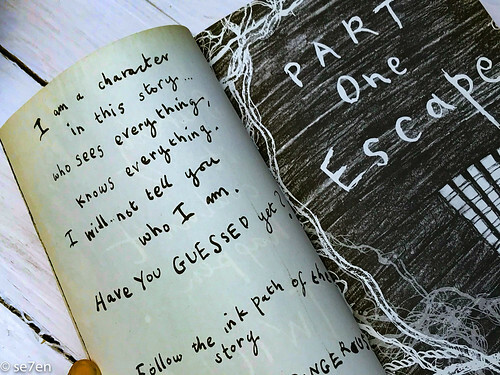 She writes books that you never ever want to end… apart form the very obvious need to know how all the characters and their sagas will connect together, you also want to know what happens next. I love her books, this one is brilliant. I didn’t actually receive this book for review, I bought the audible myself… 17 hours straight, with not a lull in sight. Just perfect for driving to and fro to gym and back, honestly, I couldn’t wait to get back into the car, one day to the next, to hear the Lake House. You can meet the author, Kate Morton over here, and read my review of her previous book, The Lake House, here. 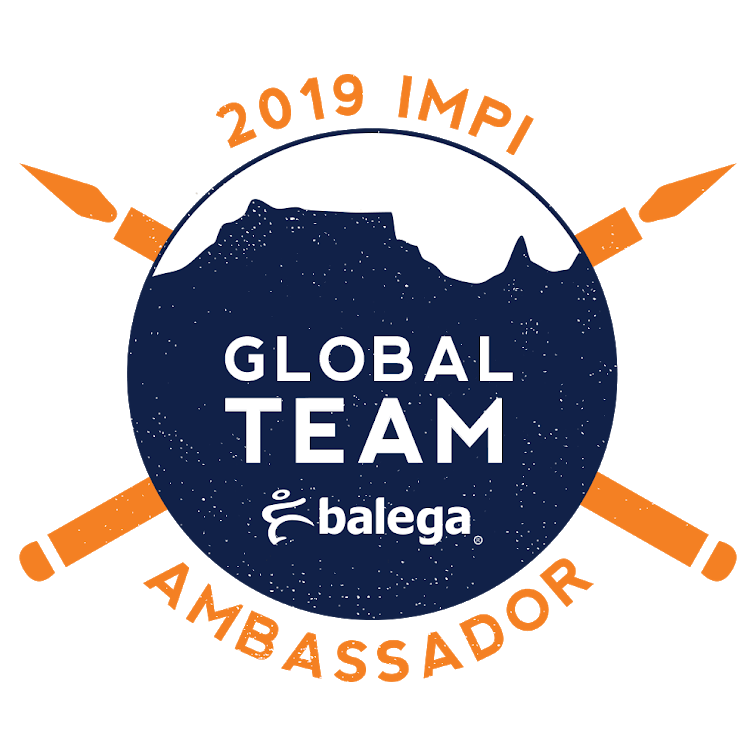 We would like to thank PanMacmillan South Africa for providing us with these books for review. 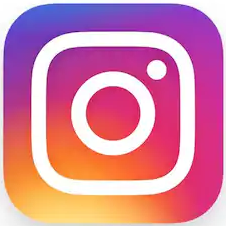 This post is not sponsored in any way and the opinions expressed are as usual our own.